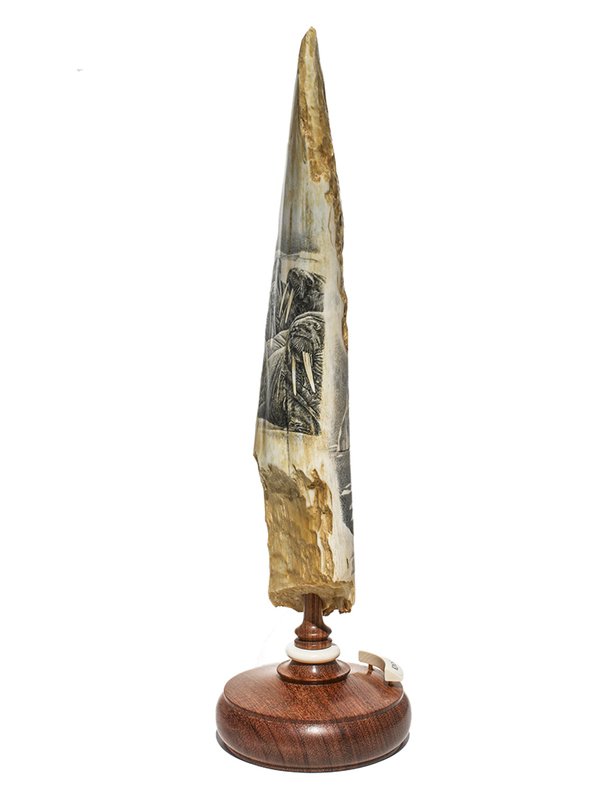 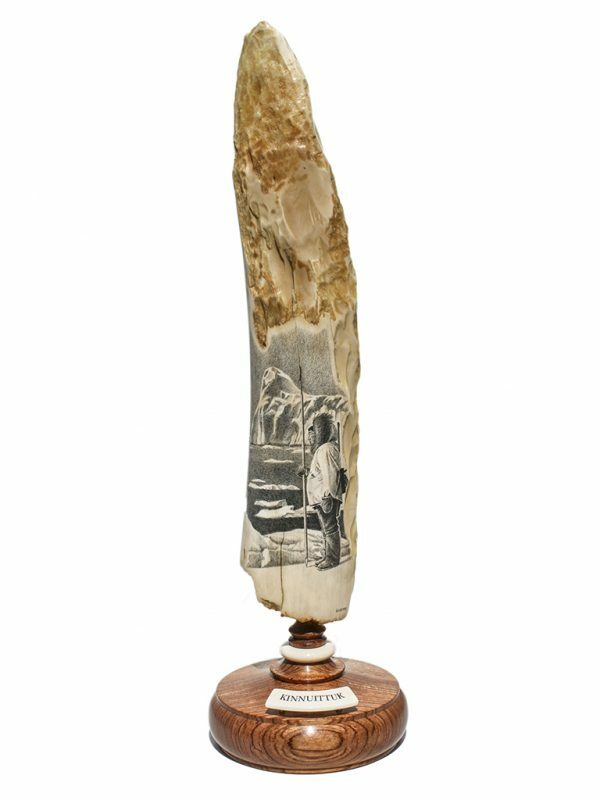 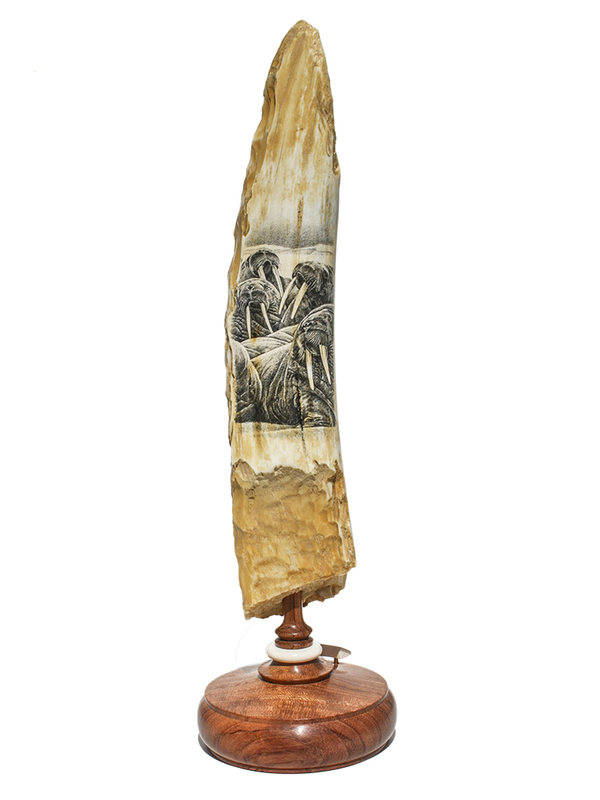 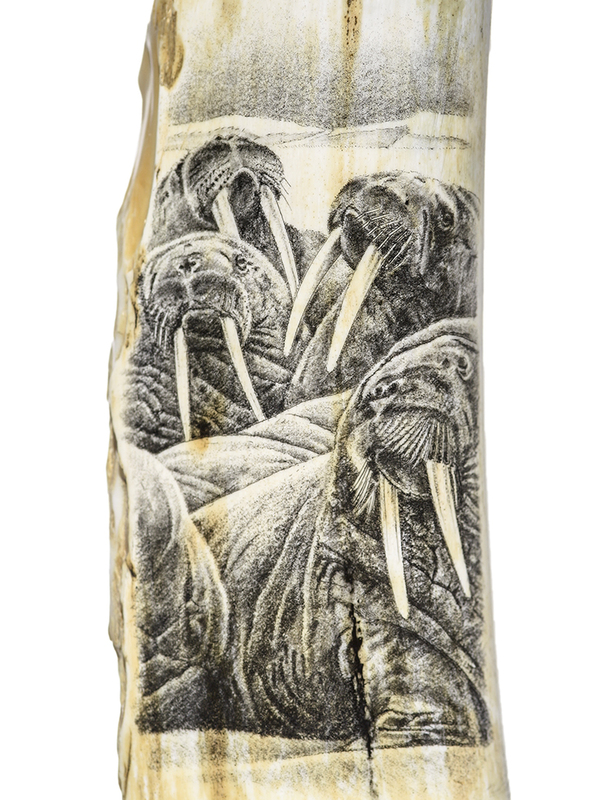 “He Is Patient” black and white scrimshaw on ancient walrus tusk ivory artifact by David Smith. 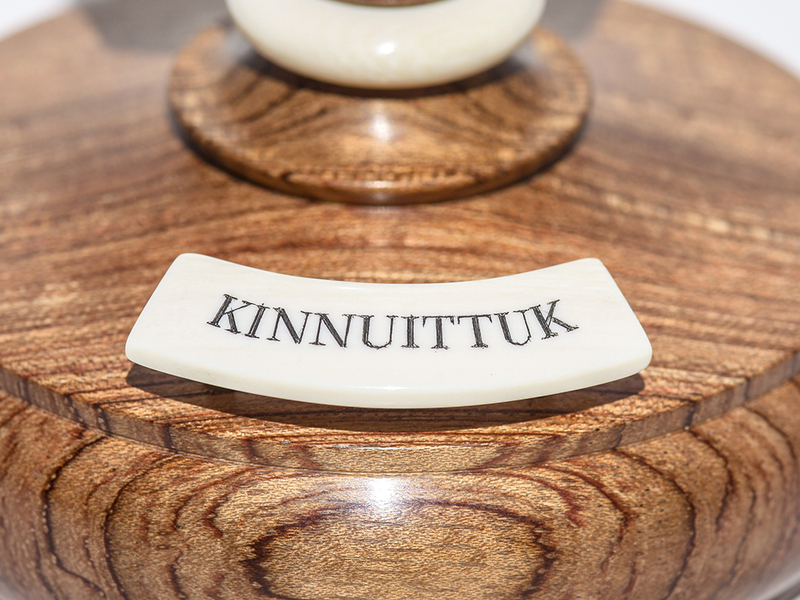 The title plate on the stand is engraved “KINNUITTUK” which translates to the phrase “He is patient”. 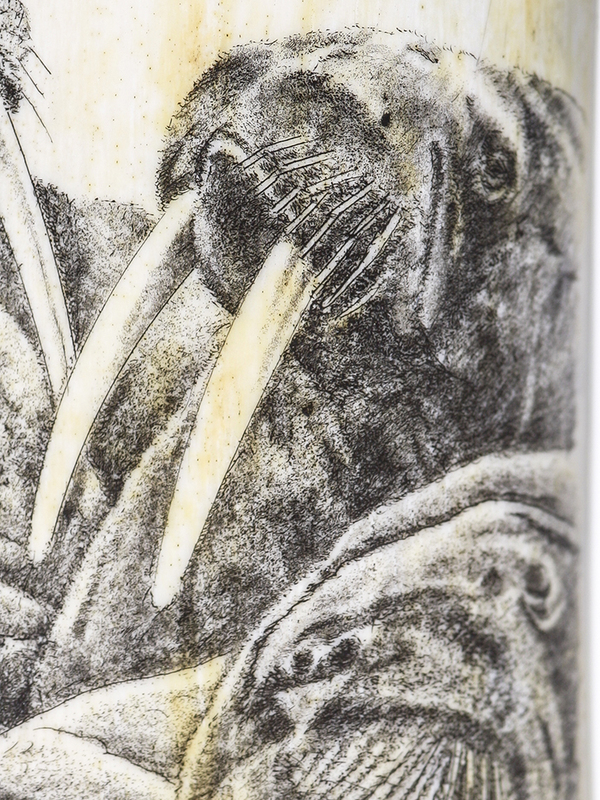 Naturally, one would be patient if one’s existence depended upon bringing back a walrus for food, clothing, tools, etc. 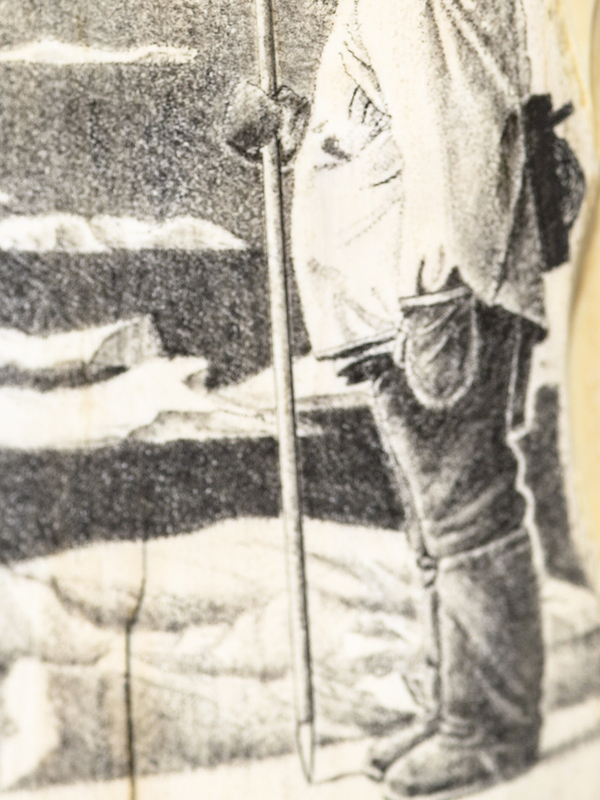 Scrimshander Smith has captured the stark environment of the hunter’s world as he stands motionless for hours upon hours waiting for just the right moment. 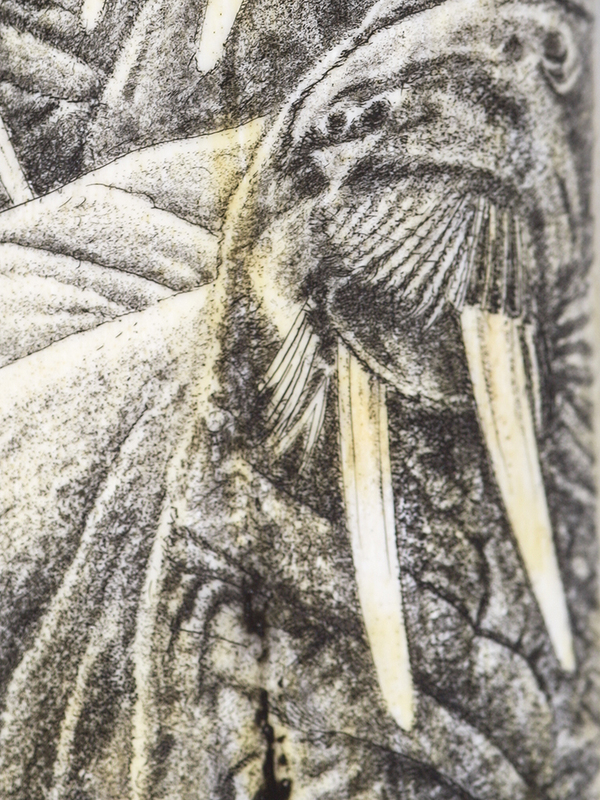 By putting his quarry on the opposite side of the tusk, one wonders if he will be successful on this day’s hunt. 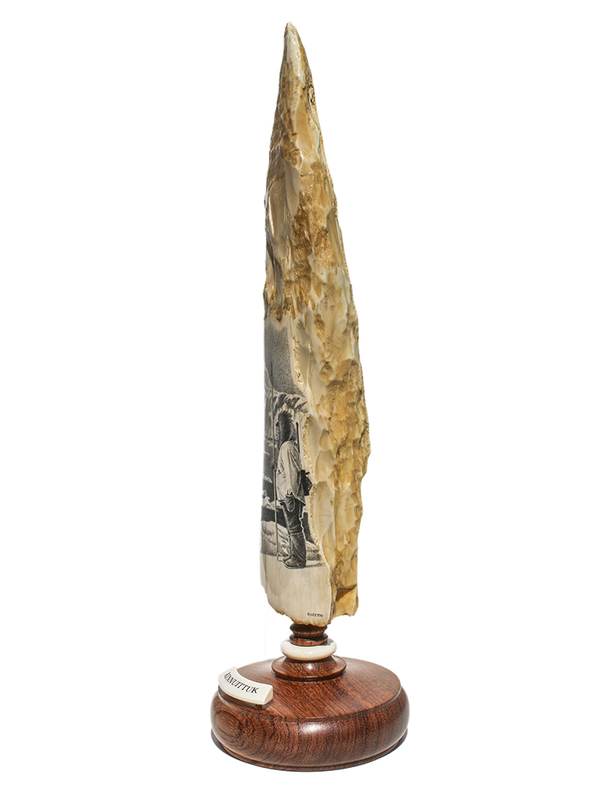 This is a very large artifact that was in the process of being worked into an ice axe when it was discarded hundreds and hundreds of years ago. 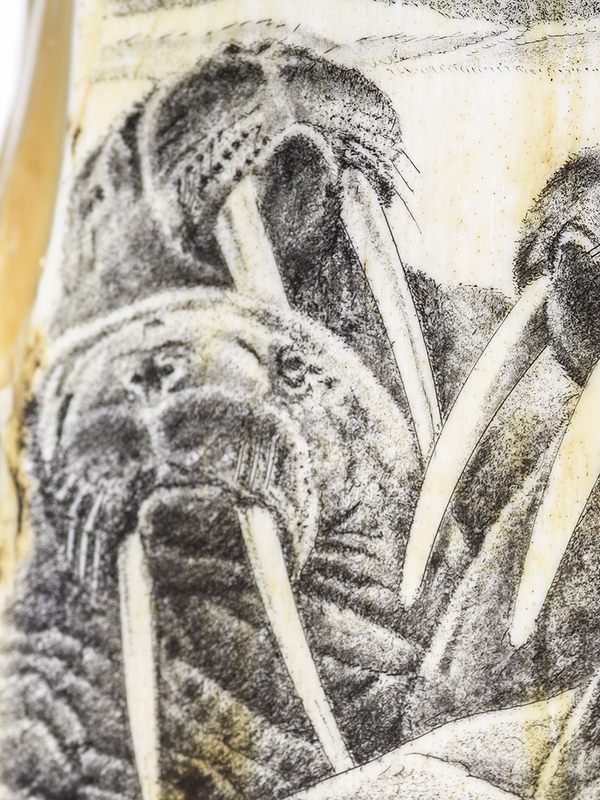 The rough surface of the tusk give the impression of jagged ice floes. 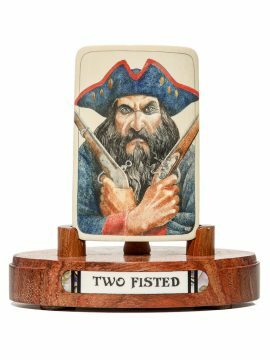 Smith has outdone himself with this masterpiece. 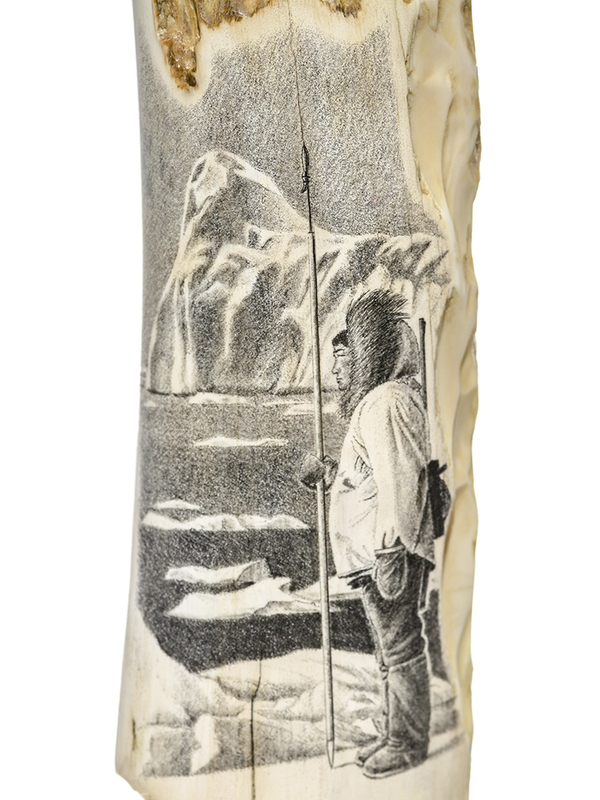 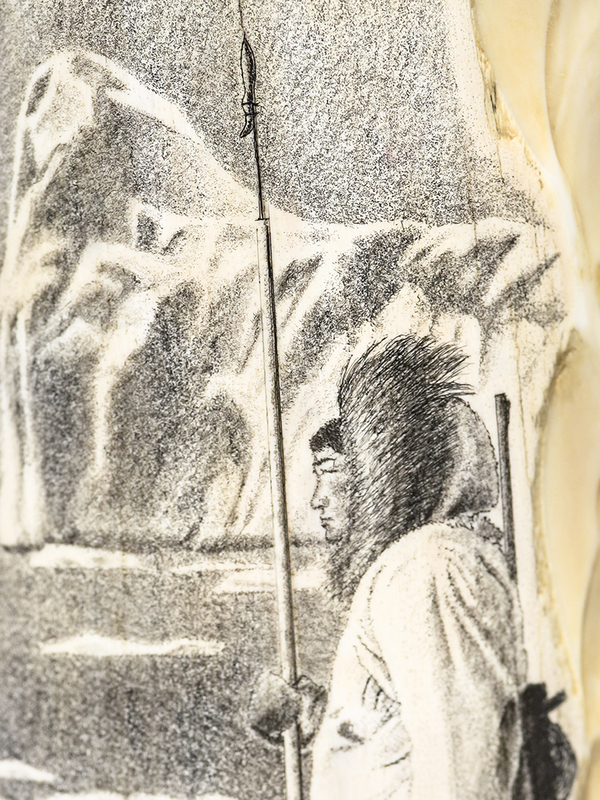 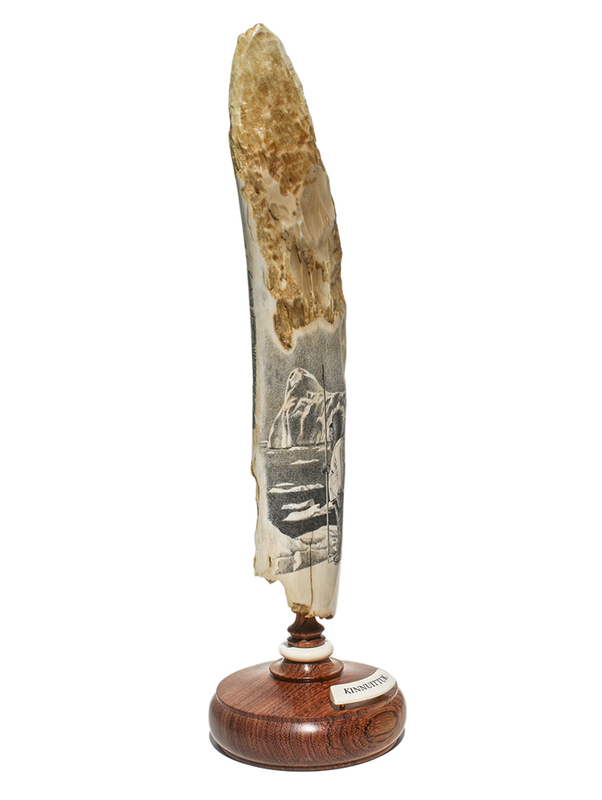 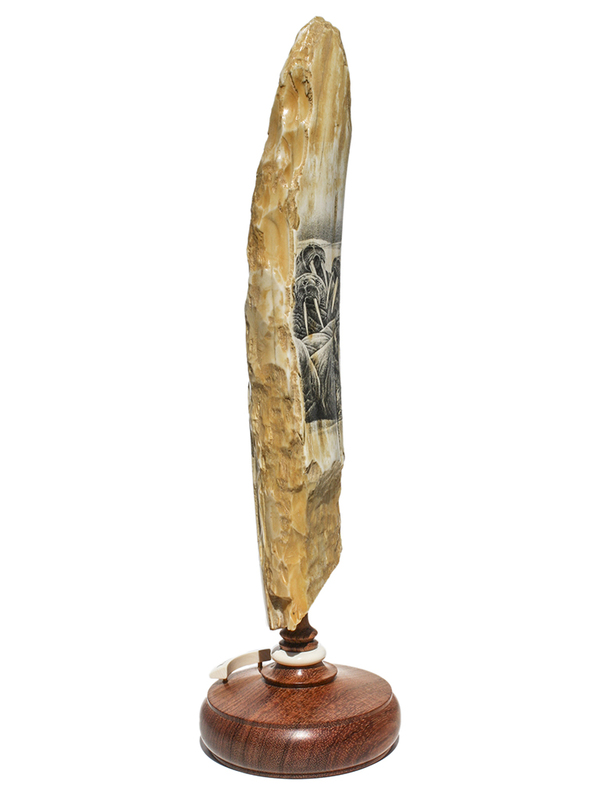 If you want to acquire a signature Smith scrimshaw work, this is the one.